A sprawling 34 towers project at the gateway to Delhi city and Noida, the Emaar MGF Commonwealth Games Village brings the best of both worlds - nature and technology. Huge spacious, centrally air-conditioned apartments with views of the Jamuna River and the Akshardham Temple shall make the best residences in Delhi City. 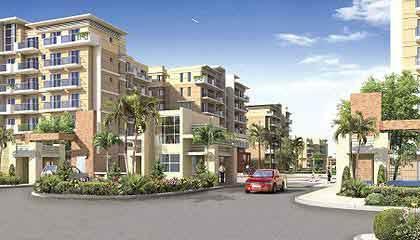 The property offers 2 to 5 BHK apartments in 34 towers.